Prospera's sleek Micro Current Pulse Massager delivers a steady, relaxing massage to tired muscles in your face and neck - such as the eye, cheek, or even mouth. It instantly relieves muscle fatigue and stress, while simultaneously replenishing nutrition and moisture to your skin. Your body will sigh with relief when you use the Prospera Pulse Massager. 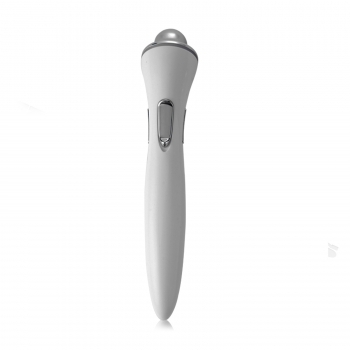 Its specific vibrating frequency is perfectly designed for delicate muscles, and its small size is just right for easy usage. A single push key control delivers a powerful enough massage to the tightest muscles. * Weighs less than 3oz.